Absolent exhibits at MD&M in Anaheim, CA, in February. Absolent, together with Air Cleaning Technology, our distributor in California, will have a booth at the Medical Device & Manufacturing show at the Anaheim convention Center in Anaheim CA, February 10th -12th. Absolent has for many years designed and delivered oil smoke collection units to the implant industry. Years that have made us specialists in the field! Welcome to Booth#448! Visit Absolent at Imtex in Bangalore! At the end of January, Absolent will be represented at the IMTEX show in Bangalore again by our Indian distributor SpanFiltermist. Date: 24th-30th January. Welcome to visit us in Hall 5, Stall B112! A•mist is the ny generation of oil mist filters based on the renowned ODF filter. From now on, we have electronic pressure surveillance (A•monitor) as a standard for almost our entire product range! You as a customer can constantly follow the status of the filter unit: as long as A•monitor shows green light, it is a matter of course that the filter unit lives up to its specified air flow. Typical applications for A•mist are: grinding, turning and milling with emulsion, electrical discharge machining and machining with straight oil at moderate loads. Absolent is represented on a wide variety of exhibitions all over Europe as well as in China this spring: METAV in Germany, SIMODEC in France, MACH in the UK, CCMT in China, Finntec in Finland, METAL 2012 in Denmark and SIAMS in Switzerland. For the exhibition dates, please check the advertisement higher up on this page! 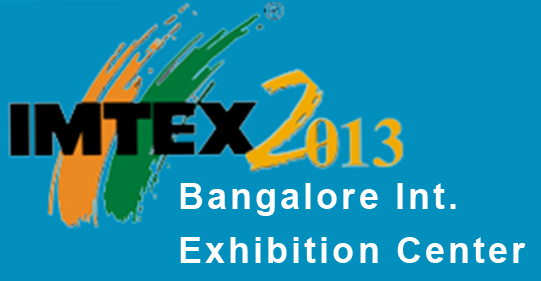 The “IMTEX” is an international exhibition in Bangalore, India, that takes place every year. In January this year, our distributor in India, Span Filtermist, exhibited all their products which now includes the Absolent range. Even though the theme of the exhibition was “forming”, ie not the typical application for oil mist filters, the response was very good. It is clear that India will be a very good market for Absolent in the future.